On the roads near our Mercedes-Benz dealer serving Orange County, looking good means feeling good. 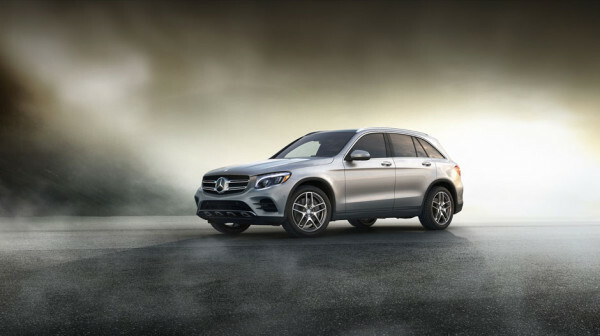 Few SUVs capture the imagination with power and grace quite like the 2016 Mercedes-Benz GLC SUV. It presents a powerful presence on the highways of California with a lean and hungry look. Inside and out, this stunning midsize sports utility vehicle exemplifies grace and elegance as it dominates the fast lane. Let’s take a look at how the design of the GLC SUV propels it to the head of its class. It all starts up front with a sleek front end that features a thin horizontal grille and a dynamic front fascia. The headlights are stretched back to give it a fast look that really lights up the road with vivid illumination. This artfully crafted approach is matched by lean, sharp contours that wind their way back to a tail section that puts the finishing touches on this visually stunning vehicle. You can elevate your style with the Night Package, which adds dramatic black styling elements plus your choice of 19 or 20-inch AMG® wheels. 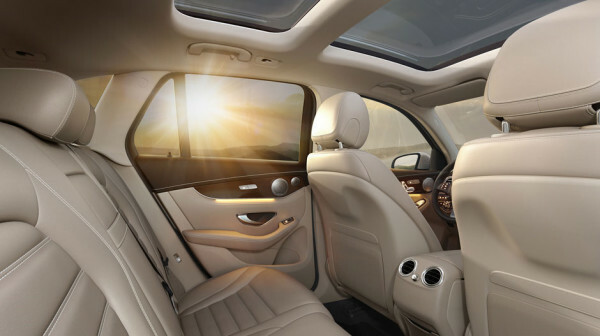 Inside, you are treated to a thoughtfully appointed cabin that is laid out with your comfort in mind in the 2016 Mercedes-Benz GLC at our dealer serving Orange County. The layout of the dashboard is functional, so that you can reach the things you need while you are behind the wheel, but it also offers plenty of scintillating features. The fine stitching on the leather seats welcome you in for a long, enjoyable drive, while it’s hard not to appreciate the precision that goes into the controls of this vehicle. The rear doors are widened so your passengers can appreciate the spacious second row even more. When you are planning a little getaway and need some extra room, the 40/20/40-split rear seats provide plenty of options for cargo storage. A standard power liftgate makes accessing your gear easier than ever. If you really want to experience true luxury, you can opt for handcrafted designo® Nappa leather on your heated front seats. Contact Walter's Mercedes-Benz of Riverside today to set up a test-drive in this stylish SUV. For more information, give us a call at (888) 294-6772.